Gilbert and Perry welcome their first child together, son Rhodes Emilio Gilbert Perry. The announcement is made on The Talk by Julie Chen. Our very own Sara and her wife Linda are the proud parents of a new baby boy and both mother and child are doing well. We’ve had a really special relationship I would say my whole life and when the show ended it continued afterwards. When I got married I was expecting my first child, Roseanne called me up, she took me out to lunch, she wanted to make sure that I was okay and make sure I was making all the right decisions. Gilbert and Perry are expecting their first child. 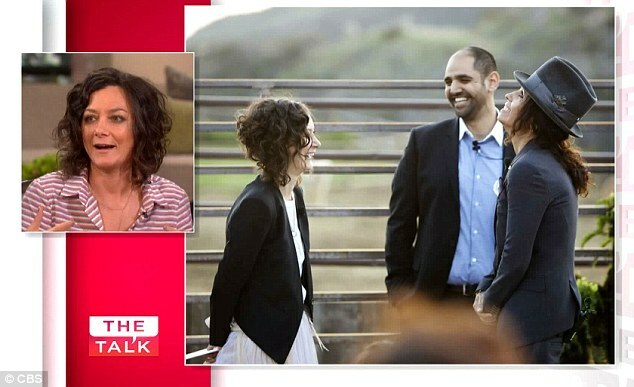 Gilbert revealed her pregnancy during the TV show The Talk. She talks about her seemingly random fear of having a cinderblock broken over her stomach. She was supposed to overcome this fear as part of The Talk’s Face Your Fears premiere week. I actually can’t do it, because…I’m pregnant! 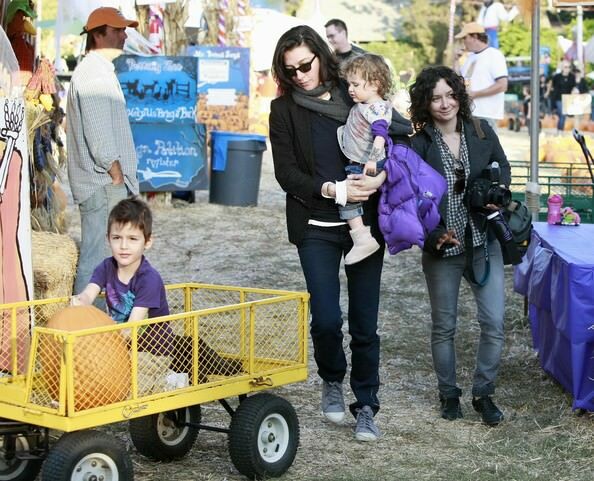 Gilbert has two children from previous relationships. It definitely feels different, like I thought it might feel a little different, but it feels more different than you’d expect. You feel like you’re part of this institution and official and I better not mess this up! You feel safer, in a way, like you’ve really committed. I’m sitting there listening and I’m kind of daydreaming and I’m thinking like, If I ever proposed to her this would be an amazing way to do it. The people picnicking next to us pull out string instruments from under the blanket, walk over and they start playing Love Song. Perry proposed by pulling four T-shirts out with the words “Will You Marry Me?” on them. Then she brings out the ring. So then she says, ‘OK, turn around’, and I turn around and our mums are there and a couple of friends…So I think that’s it and it’s the most amazing proposal ever and then… this guy walks up and she’s like, ‘This is John Waite’, and he starts playing Missing You. All these articles are out that I’m in a new relationship I go online, and it’s on CNN … it’s weird. I do want to share the news with you … but I want to do it on my terms, in full hair and makeup. So are there any hard feelings? Doesn’t seem that way. It’s completely amicable. Gilbert and Adler are expecting their second together. This is the first pregnancy for Gilbert because Adler carried their son.